Can Dinny keep the underground doomsday bunker from breaking down till rescue arrives? Help Dinny turn the mystery crank to ward off the explosive fire monster. Press the UP arrow to crank, and keep the power level in the green zone. Download the appropriate ZIP file for your computer, i.e. 32 or 64 bit. Extract both files (exe and pck) from the ZIP into a folder. 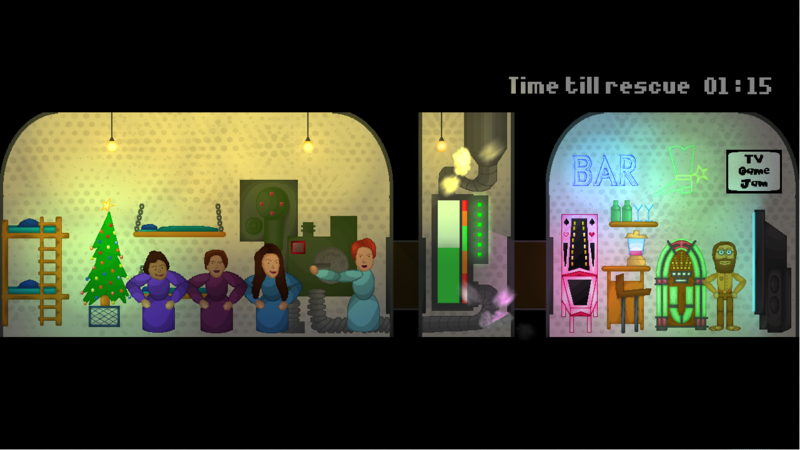 Thank you so much for playing the game, and well done for completing it first time around :) Life is tough down in the bunker, your button mashing finger deserves a well earned rest now.